Powerful and reliable, and now with push‑botton electric start and the Yamaha power tuner smartphone app. The YZ250F remains the ride of choice for Aaron Plessinger, 2018 250 SX West Champion. L x W x H: 85.6 in. x 32.5 in. x 50.6 in. All-New Machine for 2019: With an all-new engine, new frame, new bodywork and more, the 2019 YZ250F™ is ready to roost the competition, with features never before seen in the 250cc class. New Engine: An updated cylinder head, piston, cam profiles, cylinder geometry and much more work together to give YZ250F riders the best balance of high-rpm power with a broad, useable powerband. 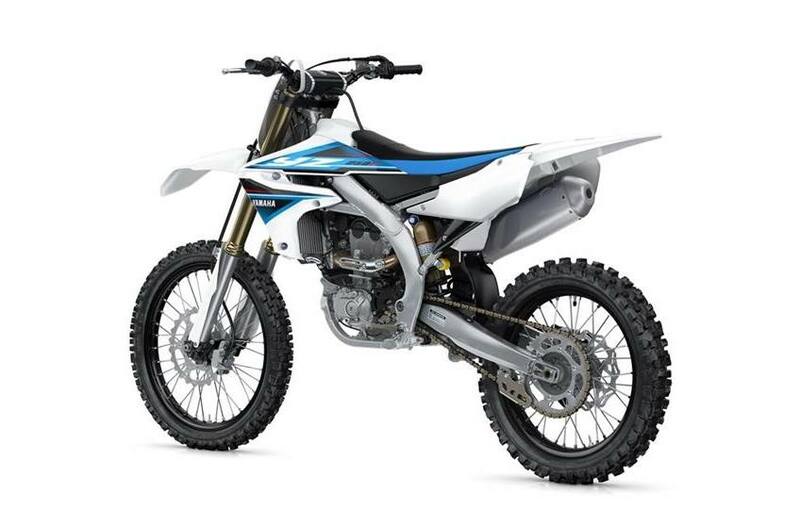 Electric Starter System: Utilizing a compact starter motor and ultra-lightweight lithium battery, the YZ250F brings the convenience of push-button starting to the racetrack, for effortless restarts under pressure, and relaxed riding when the clock isn't ticking. Innovative and Upgraded Engine: The liquid-cooled, DOHC 4-valve, fuel-injected engine features a forward-positioned straight downdraft intake with symmetrical intake and exhaust ports. A new, higher-compression piston and new intake and exhaust valving delivers outstanding engine character with a focus on top-end power delivery. For 2019, the cylinder is also lighter and angled more upright to improve mass-centralization. Exclusive Power Tuner App: Breaking new ground in the industry - again - Yamaha introduced the Power Tuner app, which brings the power of the GYTR Power Tuner to your iOS® or Android® device. Using WiFi to connect to the bike's onboard CAN-bus network, the app allows owners to adjust air/fuel mixture and ignition timing maps to tune engine performance for track conditions, record race log information, and monitor a range of data such as maintenance and system diagnosis, engine run time, and more. 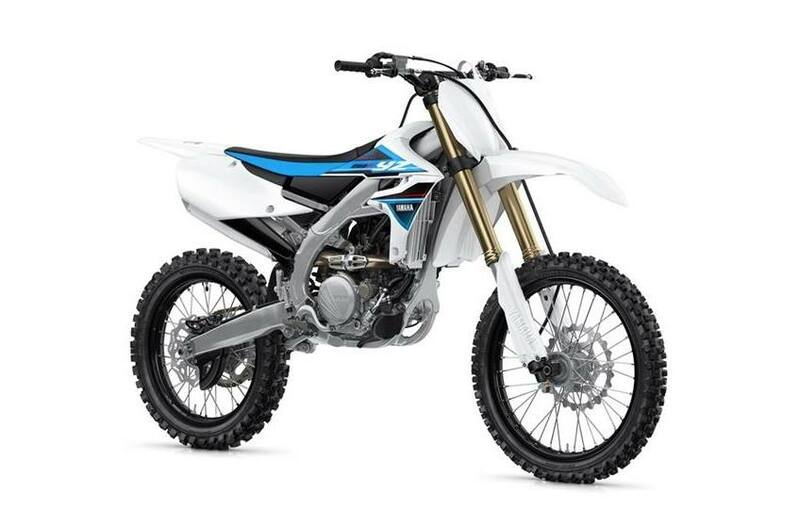 New Electric Starter System: The 2019 YZ250F now features a compact electric starter system to minimize restart delays on track and add convenience everywhere else. Powered by a high-capacity and ultra-lightweight, four-cell lithium-ion battery, the system adds minimal weight. Advanced Fuel Injection: The adjustable fuel injection system uses a new 44mm throttle body, fed by a high-pressure electric fuel pump, injects fuel through a new 12-hole Denso® injector. This ensures optimum fuel atomization and air/fuel calibration for excellent rideability in a wide range of riding conditions. The more compact throttle body is 12 percent lighter than the previous unit, too. Enhanced Cooling: Updated radiators are larger and angled more directly in the incoming air stream, for improved cooling under the most demanding race conditions. Inside the engine, a new impellor and water pump boost endurance and durability under the toughest racing conditions. Wraparound Rear Positioned Exhaust Layout: An innovative exhaust pipe design improves mass centralization and power development characteristics. Updated for 2019, this layout moves the rear end of the exhaust pipe farther forward and enables a new muffler, positioned closer to the bike's center of mass. New Aluminum Frame: The 2019 YZ250F's compact frame is completely new to further refine the instinctive handling that makes this Yamaha one of the best handling machines in the class. Larger upper frame bracing improves rigidity and durability, while wider rear frame spars and all-new engine mounts centralize mass for the best possible balance of bump absorption, stiffness and feeling of grip. 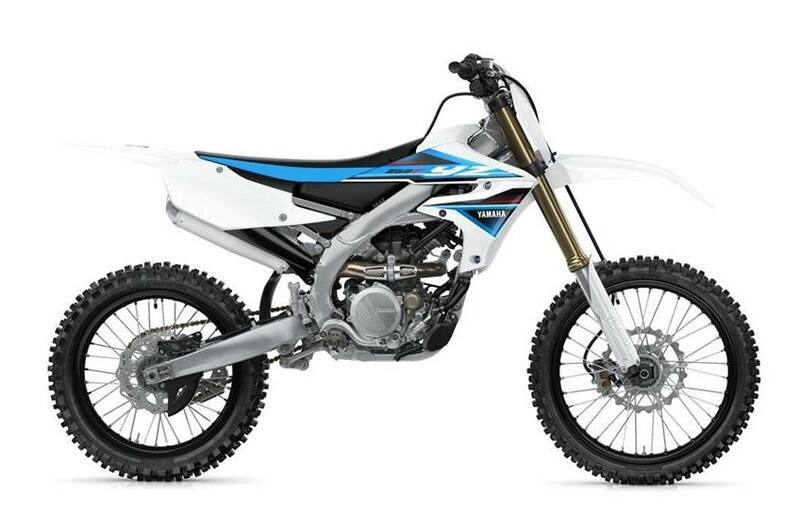 New Compact Body and Seat Design: The updated YZ250F features new bodywork from tip to tail, including a new compact fuel tank specifically designed for motocross demands. In addition to shaving weight, the new body design is narrow for more comfortable knee grip and feeling of control, and the seat is updated to give the rider additional room to move aboard the machine. Enhanced Mass-Centralization: The engine, aluminum muffler and new, more compact fuel tank are positioned close to the machine's center of mass. This layout contributes to centralized mass for a lightweight handling feeling on the track. The wide 55mm footpegs help lower the rider's center of gravity for enhanced machine balance, control and rider comfort. Class-Leading Suspension: Industry-leading, fully adjustable KYB® coil spring-type fork with speed-sensitive damping provides exceptional balance between handling and bump absorption, for race-winning handling performance. The linkage-type rear suspension features a KYB® shock with revised damping characteristics to match the new chassis. 2019 also features updated internal valving for more controlled damping characteristics. Lighter Wheels: Careful computer-aided refinement of each wheel's cross-sectional profile shaves valuable weight without sacrificing durability. Embedded Graphics: Yamaha's unique embedded graphics are built into the bodywork for extended durability, resisting both peeling and damage, with all new styling for 2019. Race Winning Details: The YZ250F includes top-spec details, including 1-1/8" aluminum tapered handlebars, wide 55mm footpegs, a quick-adjust clutch perch, stylish blue rims and gold chain. Simplified Servicing: Sleek new air cleaner cover helps prevent contact with the quick-release quarter-turn Dzus® air box fastener and provides tool-less access to the air filter, positioned at the front of the bike to avoid roost from the rear wheel.